Kodil repository has become one of the most popular repo after the shut down of Ares and Fusion Wizard. When the Ares Repository shutdown, Ares repo had more than one million active users. This huge fan base has got split and most of them adapted to Kodil repository, as it has similar content as Ares repo. Kodil repository is considered to be to the most prominent repo as has a wide range of content is still working now. As a result, it occupies a place in the top repository list. Kodil repo brings you with a huge list of add-ons and you can find almost all top rated and popular add-ons here. Unlike other repos, this serves as a host for a number of popular and aperture add-ons which will be available elsewhere. If you face any issue or if the addon repository is down, then at that time Kodil repository will serve as a very good alternative. 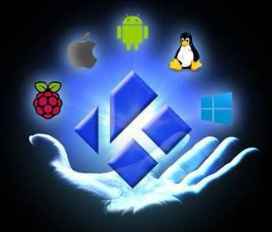 This repository is quite popular among the Kodi users of United States, United Kingdom, and Canada. You have to download the zip file first in order to install it in your Kodi. The updated repo URL is mentioned below. Recently, there is confusion that whether the official link for kodil repo is working or not. If in case it does not work here we provide you the alternative link. Click on the Settings gear icon at the top left of the home page. Select the Add source by double-clicking on it. Add source file tab will pop-up. Select none. Enter the path for the repository file. Type the URL: http://www.lvtvv.com/repo/ and click on OK.
Add a name for the source file in order to make the identification easier and then click on OK.
Now Select the Package installer icon present at the top left corner. Click on Install from zip file. A dialog box will open and select the name of the source file which you have entered. Just wait until you a pop-up appears at the top right corner saying that the Repo is installed. Now go to Install from repository. Select the addon you are looking for and install it. Wait till you receive a short notification regarding the addon installation. Kodil repository is a great Kodi repository with a large number of add-ons. Here you can find add-ons based on different genres such as Movies, News, Sports, Tv shows, and much more. You can also watch Live games and IPTV using these addons. It has 665+ video add-ons and 250+ program add-ons. Apart from this, it has hundreds of add-ons like music add-ons, picture add-ons and a few more. These add-ons are segregated and arranged alphabetically, in order to make it user-friendly. Some of the popular add-ons it offers include Exodus, Covenant, Bob Unleashed, Podsiden, newly popular list like Placenta, Elysium, and much more. We hope this will be useful and informative. If you have any issues with content above or any feedback, kindly comment below.